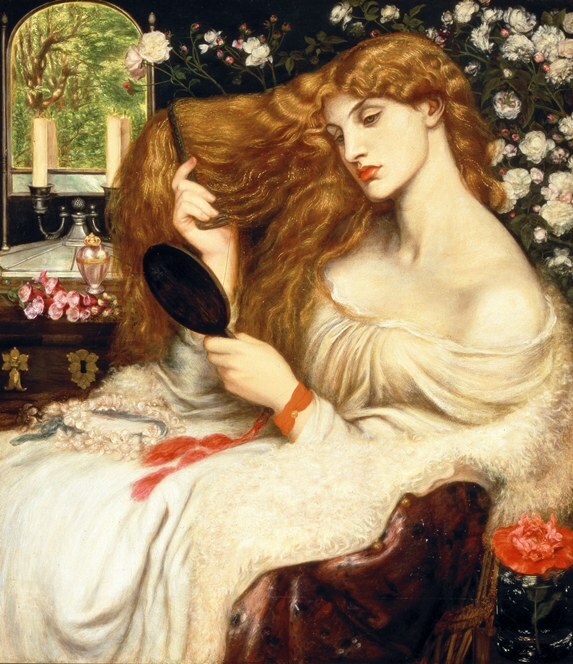 Tate Britain promises a radical new interpretation of the Pre-Raphaelites with their exhibition Pre-Raphaelites: Victorian Avant-Garde (until 13 Jan), but judging by the throngs of viewers no such review is needed. The public obviously adores them anyway, but I have to admit to being one of the cynics who finds them often little more than Victorian pin-ups, sticky, sweet and syrupy, their women lionesses with rather masculine jaws and rugged shoulders, the colour bordering on crude, the subjects twee and the morality irritating. 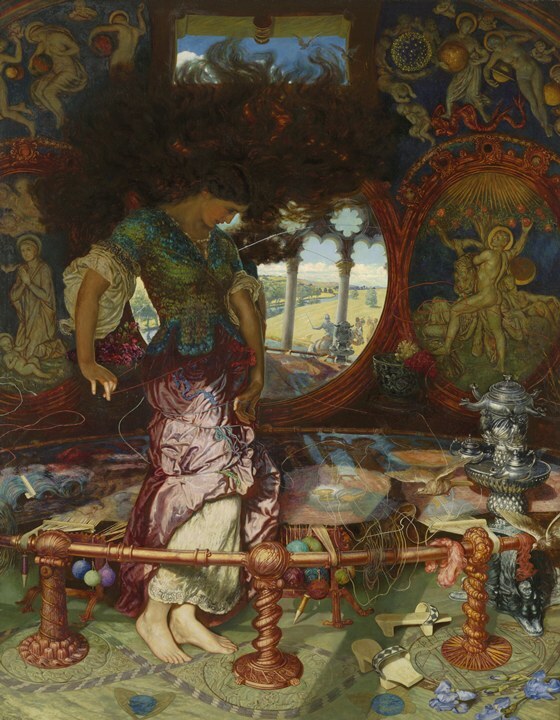 However, this is a massive show and one which explores the full trajectory of the movement, from its roots to the final swansong from Holman Hunt, his psychedelic The Lady of Shalott 1886-1905 which has been coaxed from an American museum for this occasion. I challenge anyone not to find at least one ravishingly beautiful painting among this enormous array. For me it was an evocative October landscape of a lake, owned by Andrew Lloyd-Weber, who apparently has a large collection of works. 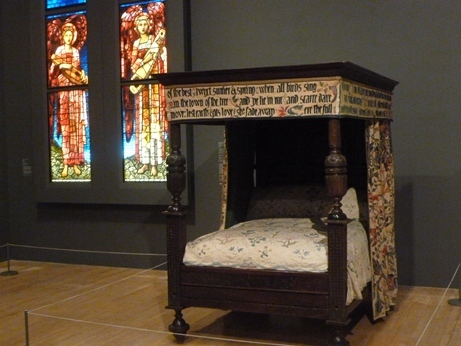 Among the range of exhibits are textiles, stained glass and furniture, showing their influence on the Arts and Crafts movement and William Morris. It’s a sumptuously rich show, proving the popularity of a movement that pursued beauty for its own sake, among a public that perhaps finds a sad lack of it today.